There are many wineries and vineyards in western Washington County, and many of them produce very fine wines. So what makes Montinore Estate, located about two miles south of Forest Grove, special? For Montinore's proprietor, Rudy Marchesi, it's all about the process. 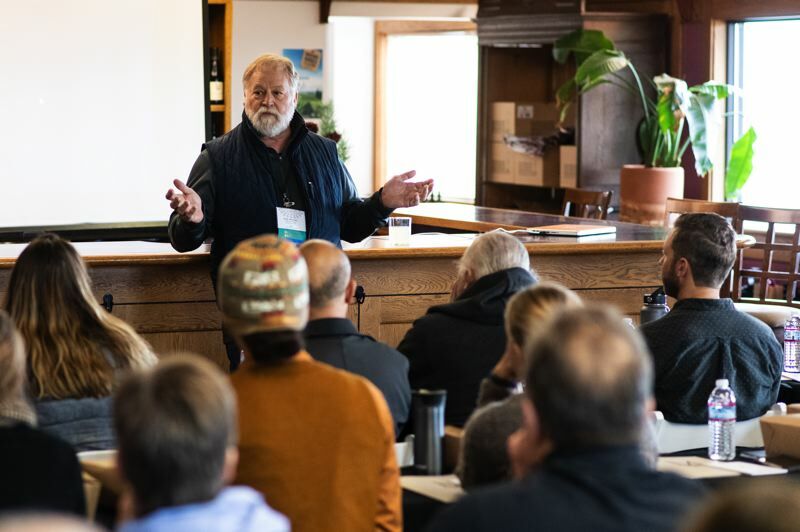 On Thursday, Nov. 15, Montinore hosted an all-day intensive for winemakers, farmers, nursery-owners and other agriculture professionals from across the country. Its topic: "biodynamic winemaking." Montinore's 200-acre vineyard is certified biodynamic by Demeter USA — a designation that affirms it applies the principles of agriculture originally laid out by German scientist Rudolf Steiner in 1924. 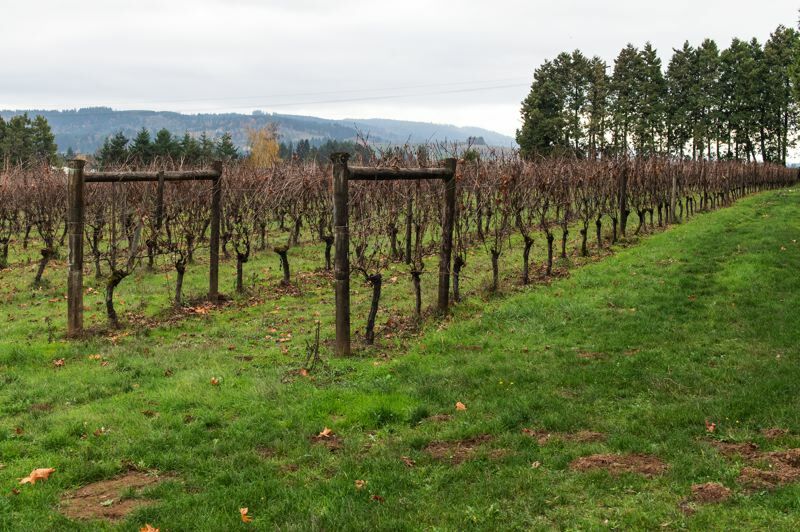 It's one of only two properties in Washington County to receive the certification, alongside Cooper Mountain Vineyards in Aloha; there are several others throughout Oregon, including a handful in Yamhill County to the south. "Biodynamic" may be a fancy-sounding word, but the concept is actually very simple, as Marchesi explained it. "What it is is something that incorporates, what we say in agriculture, 'inputs.' So materials that we need are all things that we can find on our farms or in the vicinity … things as simple as cow manure or powdered rock; also, plants that have specific properties, like dandelion or nettle or horsetail, things like that," Marchesi said. "And the practices include a lot of making very specific and meticulously created composts from a lot of these different substances, and each for different reasons. … They're mixed with water and prepared in a certain way, and then sprayed on the soil or on the plants at different times of the year." In that way, Marchesi added, farmers and growers use "the biome, the soil biology and the natural life of the farm, both underground and above, to bring added fertility to your farm and your crops." "It's regenerative farming that actually leaves the land and the environment and the workers better off for you having been there," said Christine Jennifer. "Biodynamics is really the purest form of farming. … It goes back to the ancients." Jennifer doesn't work at Montinore Estate. She's not even from Oregon at all. The president of Suncrest Nurseries, a wholesale grower outside Watsonville, Calif., Jennifer came up to Portland for the Biodynamic Association's annual conference this week — and out to the Dilley area to learn more about biodynamic winemaking Thursday. Suncrest is in the process of transitioning to biodynamics. Jennifer said a parcel of the nursery was certified biodynamic by Demeter just last year, and she is hoping to bring more of the property under that designation. But it's not easy, as Jennifer acknowledged. While using farm products to improve farm productivity does save money on chemical fertilizers, pesticides and other materials that wholesale nurseries like hers typically buy in bulk, there is a cost to biodynamic agriculture simply because of how involved a process it is. "It's more labor-intensive," Jennifer said. "And what's more intensive than labor? And if you care about your labor, it's even more expensive, because you're trying to give them a quality of life as best you can. Also, we have animals. It's common in biodynamic farming to have animals that help support the ecosystem. … There's an initial cost to that that doesn't necessarily pay off for a while." But for Jennifer, there is something deeply compelling about biodynamic agriculture. Some people even find it spiritual, she said. "It's very special," she said. "In my perfect world, everything would be grown that way, and everyone could afford it." Marchesi has been involved with the biodynamic movement since 2003, a few years after he started working at Montinore and a couple years before he bought the winery. "In the fall of 2003, we started implementing some of the practices and saw some real effect," Marchesi said. "(We) gradually converted the entire farm to biodynamic, and by 2008, we were certified." Today, Montinore claims to be the largest producer of estate wines made from a certified biodynamic process. The estate has an international distribution of about 720,000 bottles per year, Marchesi said. 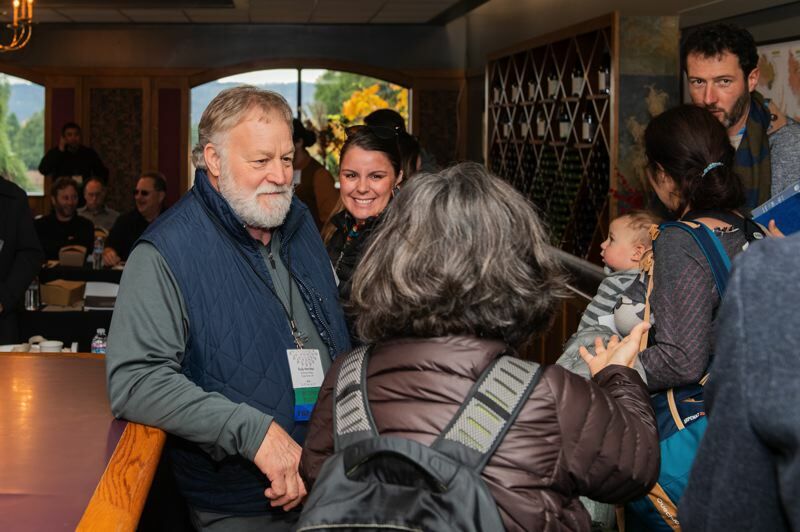 It was natural, then, that Montinore be a stop for attendees at last week's Biodynamic Association conference in Portland. The estate welcomed about 50 people to learn about such topics as vineyard soil health, using silica from a cow horn to invigorate grapevines, and ensuring "integrity" in the biodynamic winemaking process. For Jennifer, it was just another opportunity to get to know the biodynamic agriculture community to which her business is a relative newcomer. "I'm hoping to understand the community better — the participants — learn from their experience, what they're doing, how they're doing it, how they're communicating it to others and also what some of their practices are," Jennifer said. Jennifer knows all the benefits she expects to see from biodynamic agriculture might not manifest themselves right away. One of her biggest goals is to ensure that the land is strengthened, not depleted, through the process of farming it. It could take years for that sustainable approach to pay off. "It's a high investment for hopefully a greater return, with greater longevity," Jennifer said. "It's a long game … but it's a beautiful lifestyle."